Give your moustache and beard the nutrition it deserves. Start grooming your beard today- make it super manageable and soft. Our Gentlemen beard oil is fragrance-free and comprised of natural oils that quickly seep within your skin to tame the coarse hair. Now is the time to maintain a manly beard, without carrying with your feminine fragrance. Our unscented beard oil takes all the responsibility of your hair by starting with hydration and ending with giving your beard the length and shape it desires. It will leave your beard in shine while maintaining a natural luster. Take full control of your beard's health today. Day by day your old beard hair is getting dehydrated and damaged due to lack of nutrition. Our blend of carrier oils promise a strengthening and revitalizing comeback. Now you can bid farewell to itchy and coarse skin that only hinders the growth of your beard hair. Apply a small quantity of beard oil on palms. Evenly spread. Use your fingers to reach the skin and apply gently on pores to the entire beard length. Comb for grooming. 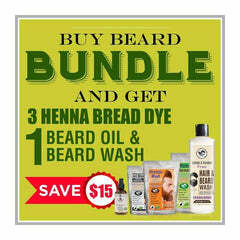 At The Henna Guys, we aim at delivering to our customers a line of essential beard oil products that help them maintain a soft and smooth beard. We use the highest quality of ingredients that commit to the healthy growth of beard hair, preventing tangling and coarse hair. We do not add any parabens or other harmful chemicals to our products. Our beard oils are skin friendly and season friendly. We encourage you to use our beard oil on a regular basis for best results. And CavinSchon believes that once our customers experience the high standard at which we work, they will be fully satisfied with the beard care results. Caution: Our beard oils are for external use only. Keep away from eyes. I have been using this beard conditioning oil by Henna Guys for over 2 weeks and the results are fantastic. I have experienced rapid growth of beard and my facial hair are becoming shinier and smoother than before. The gentleman beard oil has become an important thing for my beard care. Achieved rapid beard growth with it. However, eyeing on to get shinier now. I am using a combo of Sandalwood beard balm along with the conditional oil. I love to have these in my pocket all the time.